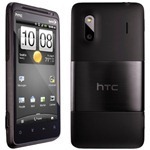 Continuing the long string of updates being released today, the HTC EVO Design 4G, one of Sprint's mid-level EVO devices, is getting bumped up to Ice Cream Sandwich. The notes don't specify which version of Sense the device will be updated to. One might expect Sense 4.0, though we have seen some devices running Android 4.0, yet still carrying Sense 3.6. So, we'll see. We had previously heard that both the EVO Design 4G and the EVO 3D would be on schedule to receive ICS by "early August," so it looks like Sprint is actually just a smidge ahead of schedule. Although, since the update is rolling out in stages, you can probably expect it to hit your device right on time. I'll leave you to relentlessly press that "Check for Updates" button now.